Trust archivist Mike Pearson locates images and plaque to mark World Kidney Day. The history of renal services in Hull was brought to life today after trust archivist Mike Pearson took part in World Kidney Day. Nephrology consultant Dr Helen Collinson and members of Humberside Kidney Patients handed off information leaflets and stickers to staff after setting up their display outside the restaurant on the second floor of Hull Royal Infirmary. 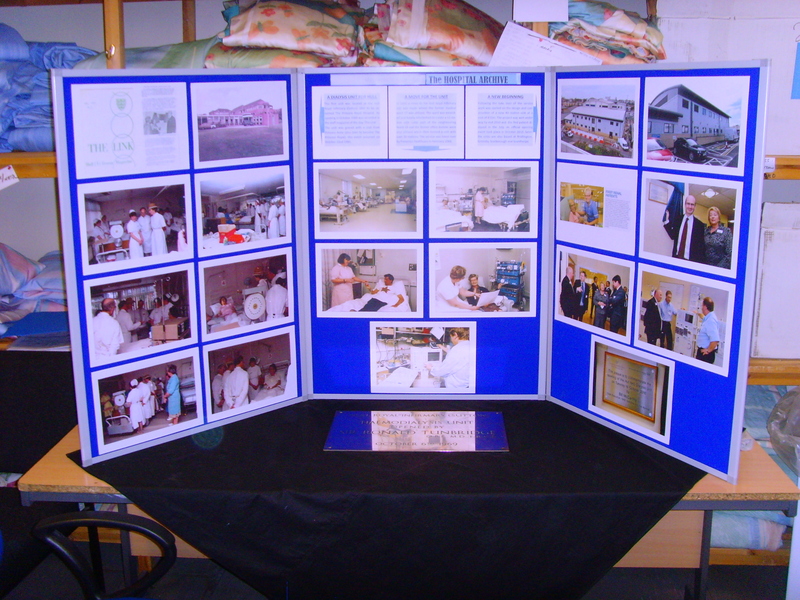 Mike, who works for the trust’s estates department, spent hours locating photographs and memorabilia outlining the history of the service and the opening of the renal unit in 2010. The first unit opened in 1969 at Hull Royal Infirmary (Sutton), later to become Princess Royal Hospital. The Princess Royal Princess Anne visited the unit in October 1985. Services for kidney patients moved to Hull Royal in 1992 when former ward 17 was extended and refurbished to create a 12-bay unit. It was extended using additional office space and part of ward 18 to create a unit with 20 stations. It was taken over by Fresenius Healthcare in 2008 and a new 40-station unit costing £11m was officially opened in 2010. Dr Collinson thanked Mr Pearson for his efforts and said his display had proven popular with staff and visitors, with one former member of staff at the Princess Royal site delighted by the memories.